We have been experimenting with blackboard slime recently. We first spotted it here. I thought this slime would be great as a Halloween activity, covering both science and craft in one go and how right I was. Check out these cool ideas we came up with, my favourite is definitely the ‘day-of-the-dead’ decorating. My children literally got hours of entertainment out of this already and took it out again today when Ophelia struck! Firstly, add your glue to the bowl, we used one cup of white PVA glue. Add 1 tablespoon of blackboard paint. We used this one but I have seen other types in craft shops (you may want to add a little more or less, depending on what brand you use). I did find that the slime had a slight smell of paint to it, but the children did not seem to notice and it didn’t last long. Worth considering though if someone is very sensitive to certain smells. Mix thoroughly before adding 1 teaspoon of bread soda. Add in your contact lens solution. We used this brand but any brand that contains boric acid and sodium borate should work. We added about 1 teaspoon of contact lens solution but it is best to add about half a teaspoon first and then add more a few drops at a time, as you mix. You will know it is ready when it comes away from the sides in a big lump in the middle of the bowl. Now it is time to get hands on. Pick up the slime and work it in your hands, stretching and kneading. It shouldn’t stick to your hands. Work quickly originally. Interestingly, I found it less likely to stick to my hands at this stage, compared to my sons, as his hands were warmer. But, if it really is sticky, just place it back in the bowl and add a few more drops of contact lens solution and mix again. You don’t want to add too much though, as it will make the slime a little to stiff and rubbery. And that’s it! Once you are sure your slime is well mixed and not sticky it is time to let your imagination run wild. We got out the window markers (or blackboard markers if you have them) and started to decorate. With the theme of Halloween in mind we started with cobweb designs and then my son made a spooky slime glove out of his slime. Our favourite activity though, with our cool blackboard slime, was to decorate it with a dead-of-the-dead theme. Have a go and let your imagination take over! The great thing about this activity is that, once you have finished your design, you can stretch your slime, knead it a little and voila! you are back to a lump of black slime to start all over again! Once you are finished, remember to store your slime in a zip lock bag, or something airtight, and then it will keep for a long, LONG, time! Always remember to wash your hands after this activity. I hope you enjoy and please, do let me know what you think of this and maybe share your own creations and designs, we’d love to see them. Check out our Ultimate Slime Guide post for lots more slime ideas, from glowing monster slime (another great one for Halloween) to fluffy marshmallow slime. A little word of celebration and thanks: You may have noticed the shiny new badge to the right of this page? 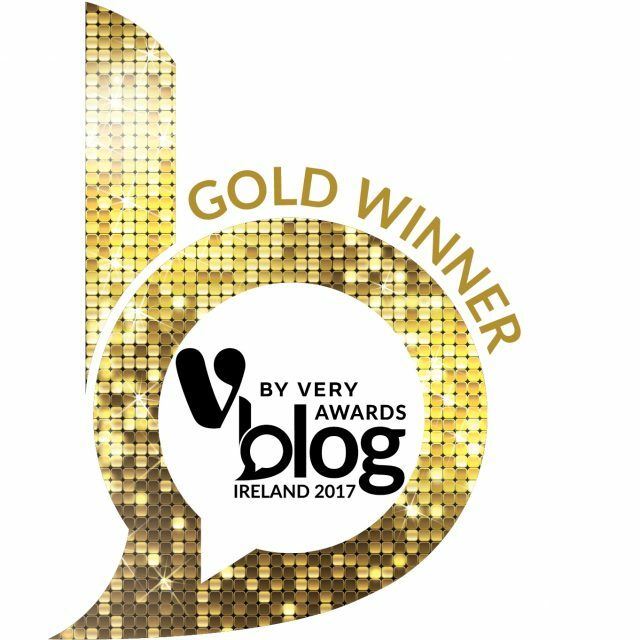 I got is for winning the Best Science and Education Blog in the Blog Awards Ireland, 2017. I was so thrilled with this win and just want to say a big, BIG thank you to everyone who reads, shares, send in questions and gets involved in any way. I really appreciate your support and interaction. Have everyone a great halloween !